Lewis Buchanan in Saturday practice. 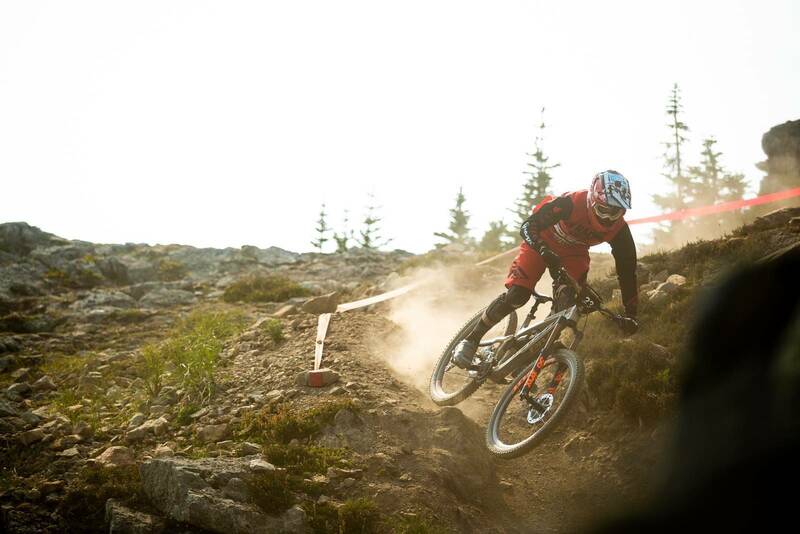 Aussie James ‘Cannonball’ Hill mowing the grass on a sharp corner. 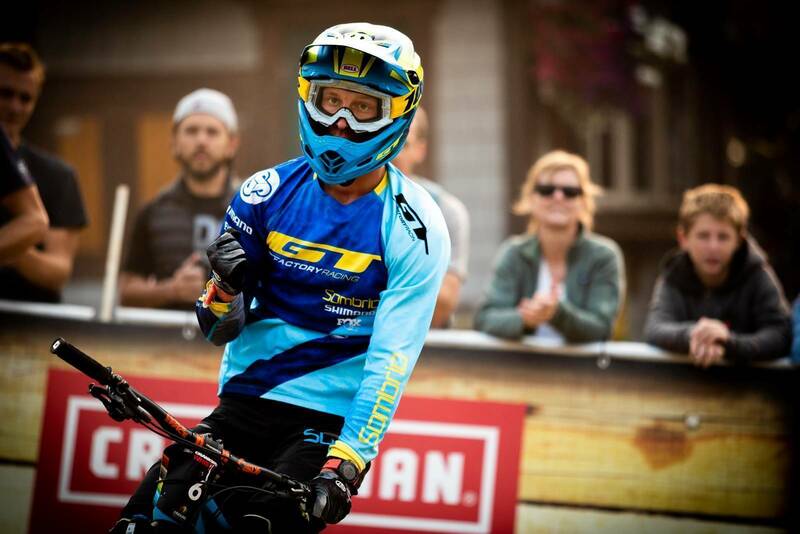 He would unfortunately crash out with a concussion in stage 2 and pull out of the race. Jared Graves, still a legend pulling a 3rd place in the final 11.5km stage, finishing in 7th overall. Chris Panozzo, on pace with a 31st place finish in a crazy-stacked field. Noga Korem, picking the smooth and fast lines for a 3rd place overall. 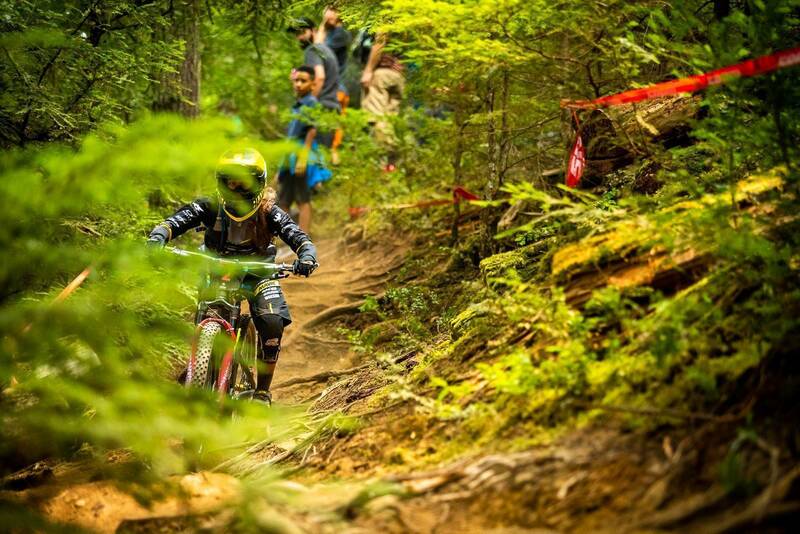 Isabeau Courdurier through the green room, coming in a close second to Ravanel. It’s all love when the race is over (and even while it's going). 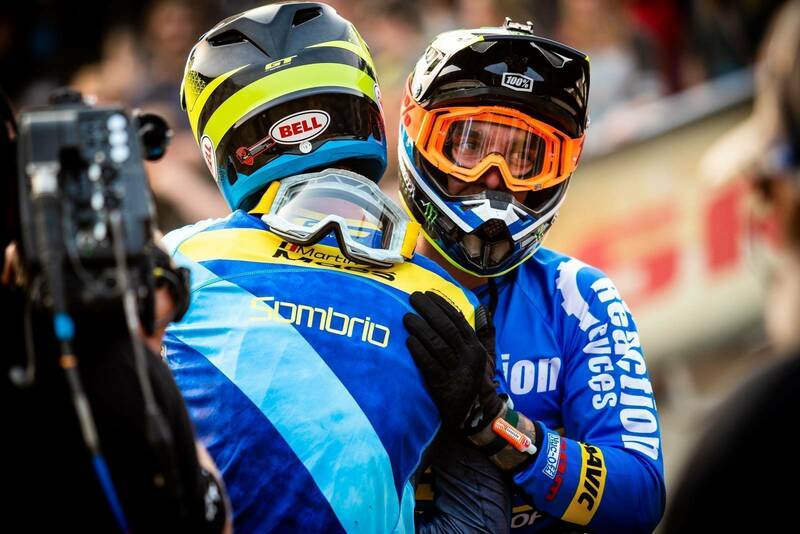 Korem and Courdurier hugging out the gruelling day of Enduro racing. Katy Winton, exhausted with a 5th place overall. Andreane Lanthier Nadeau taking 4th in elite womens. 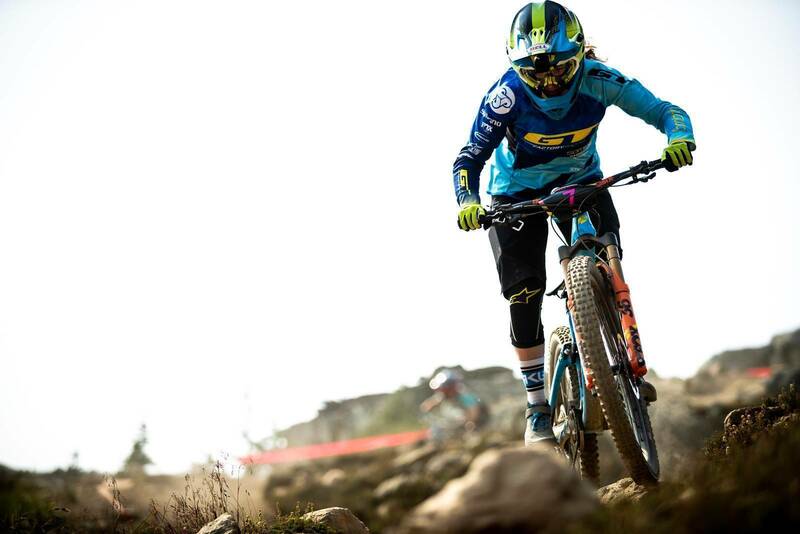 Cecile Ravanel held on for 47 and a half minutes to take another EWS win. Media frenzy ensued Ravanel’s win. Yoann Barelli (5th) dropping down Top Of The World, with The Black Tusk overlooking. 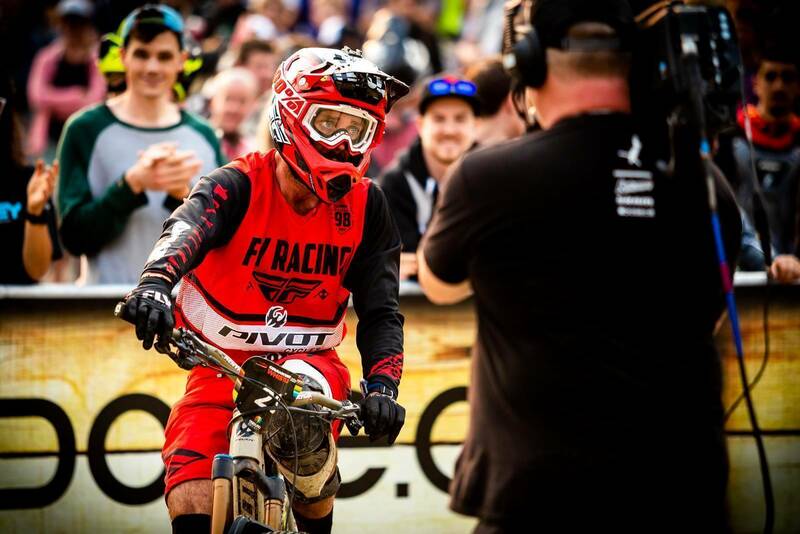 Florian Nicolai was looking flowy and fast in practice, good enough for a 4th place in finals. …until a flat and a crash in stage 5. He would still take 10th on the day. 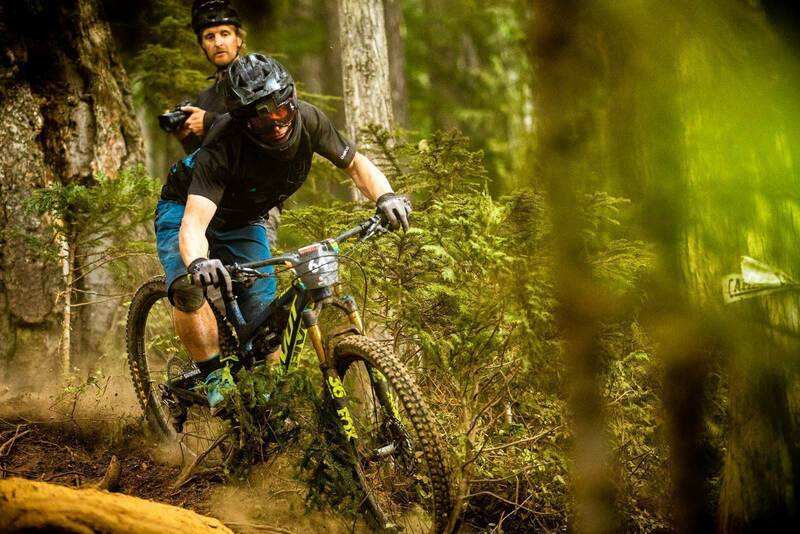 Eddie Masters feeling the enduro with constant top 10's through the years' events. Masters, finished and in 3rd. 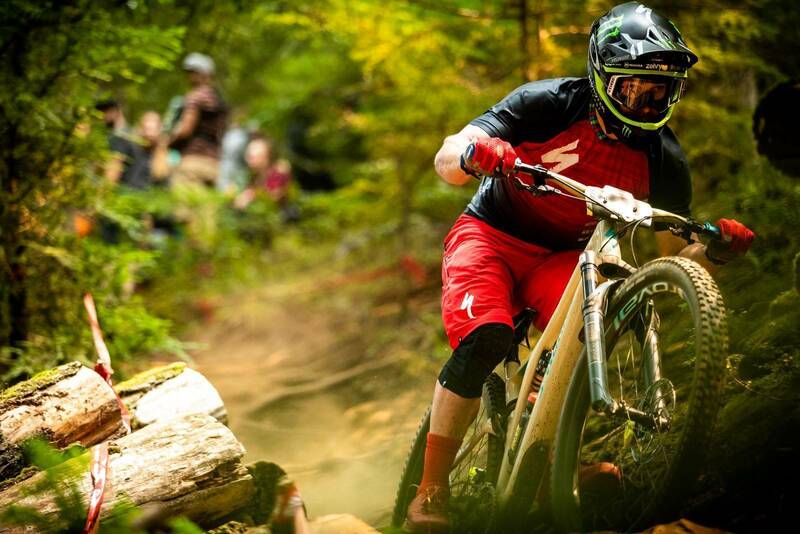 Martin Maes is hungry for his next win, and pushed it to the limit. At the end of it all, Maes knew he did the best he could. In a few short minutes he would take the win. 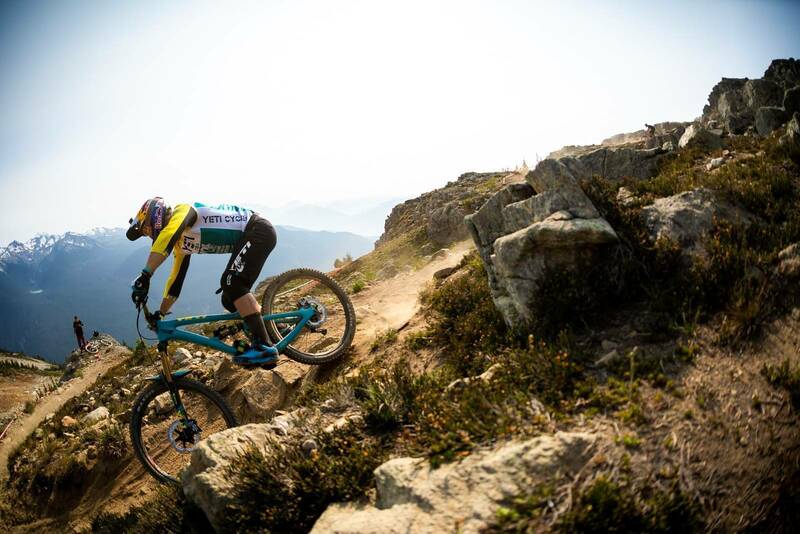 Sam Hill kept Rude and Maes on their toes throughout the day, but would ultimately have to settle for second to Maes. 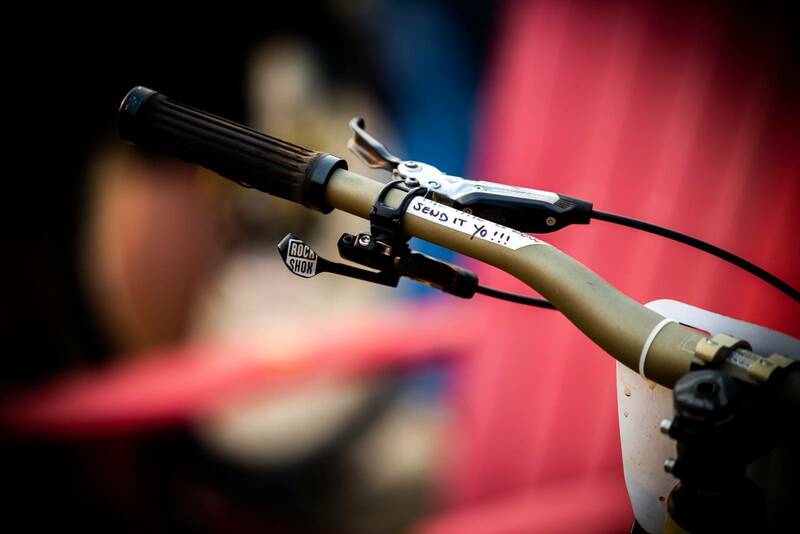 Each competitor understands how tough enduro races are, so there’s certainly no hatespread. 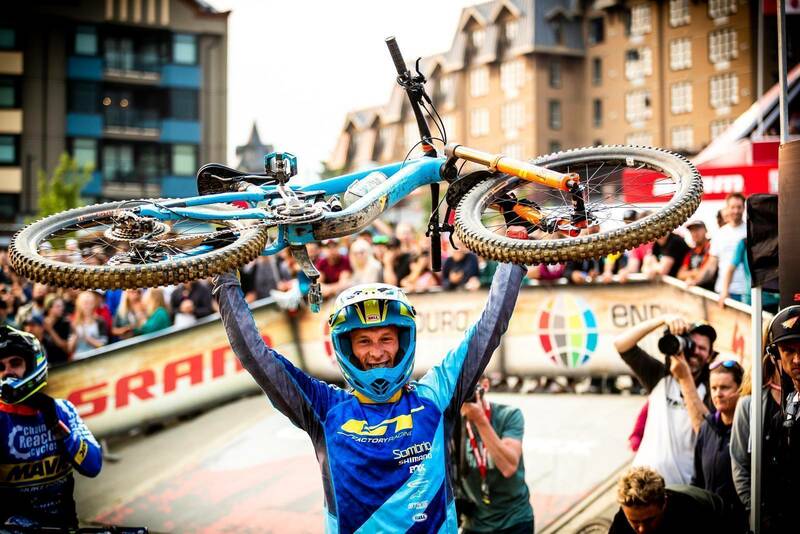 And there we have it, your EWS Rd6 at Whistler Bike Park winner, Martin Maes of GT Factory Racing. 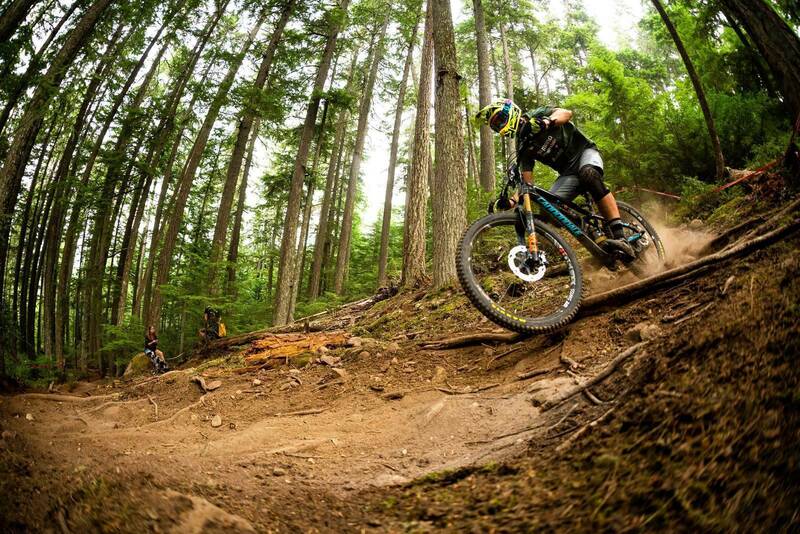 Canada in its entirety is sprinkled with mountain ranges that are climbable (by chairlift or pedal). They extend for kilometres upon kilometres, peaked with snow from the long winter seasons. Being above the ranges gives a true feeling of being right on Top Of The World. 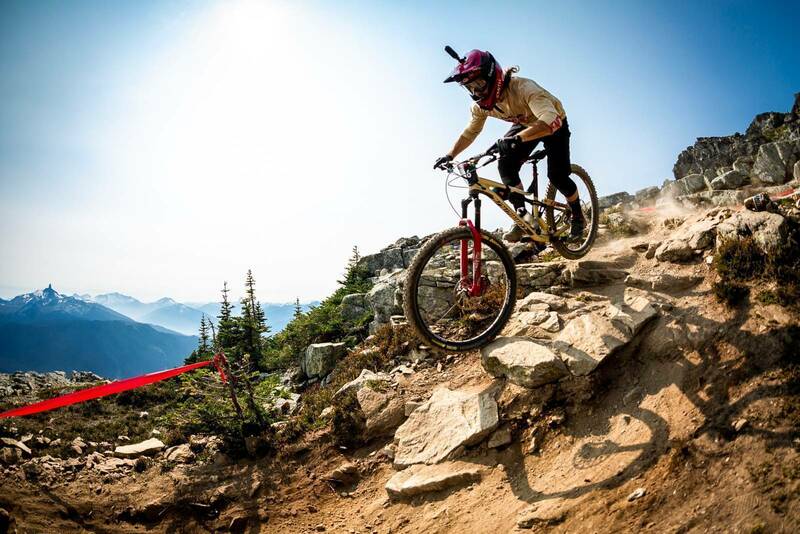 This week media man Nick Waygood is in covering these ranges, providing all the goods that comes out of Whistler Crankworx, high in the mountains of West Canada. 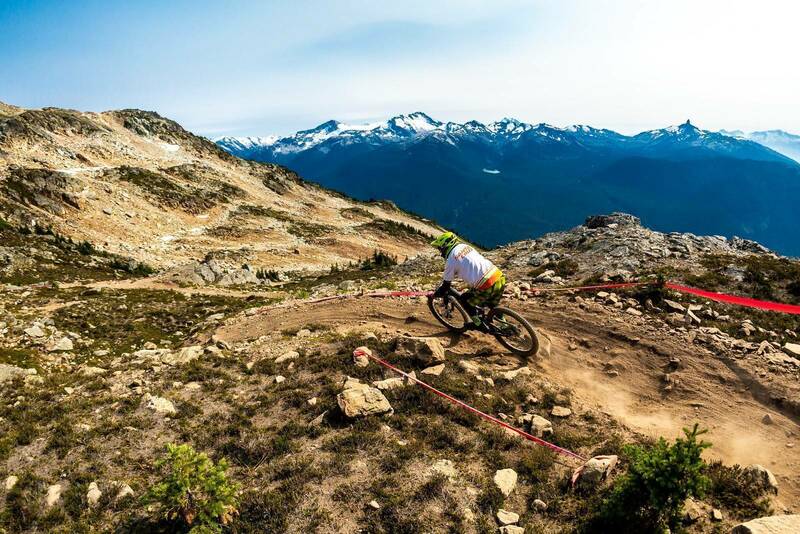 Starting off the week is the gruelling Enduro World Series event, which covers a 5-stage course across the Whistler Blackcomb and Whistler Bike Park mountains. 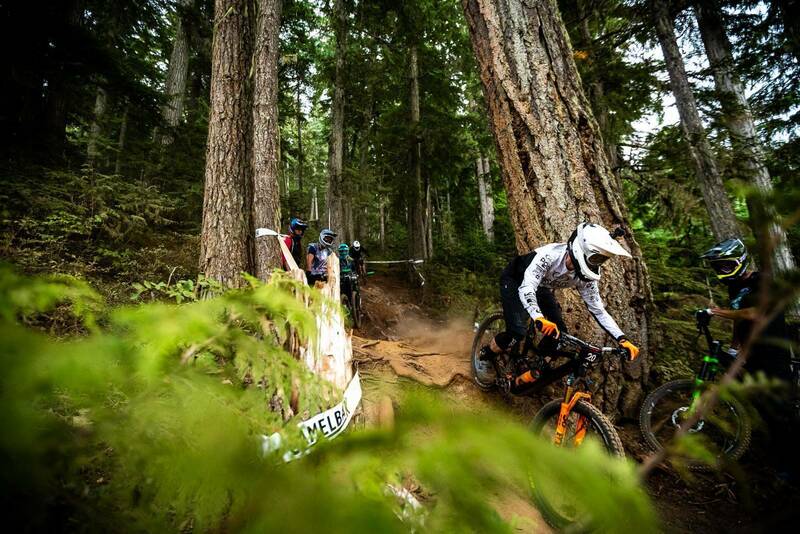 The stages showcased a wide variety of pristine mountain bike singletrack from hand-built loamy, rooty trails through thick forest, to exposed rock gardens and extensive slabs of the same kind. 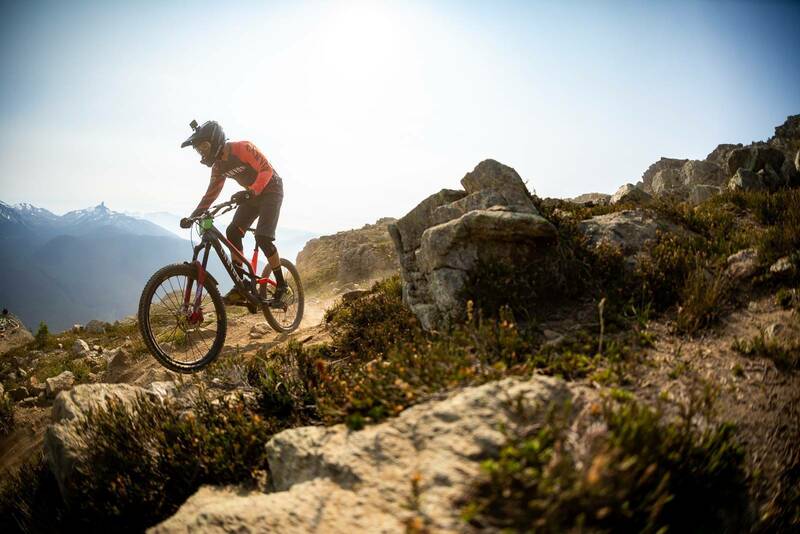 Competitors would race a total of 18 kilometres in descent trails, with the highest point being a little over 2,100 metres altitude. They would have a total altitude change of 2,800 metres through their 5-hour day. Practice and line choices were made in the days prior to the Sunday event, with each competitor allowed one practice run down each stage before having to lay down their potentially winning time. 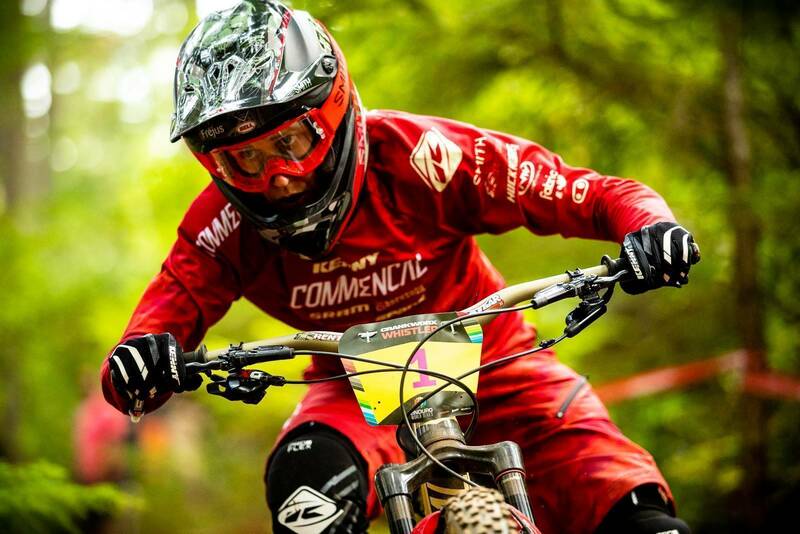 To no surprise, the rain arrived on Saturday, providing new EWS riders an understanding of why it was nicknamed Enduro Wet Series many races before. 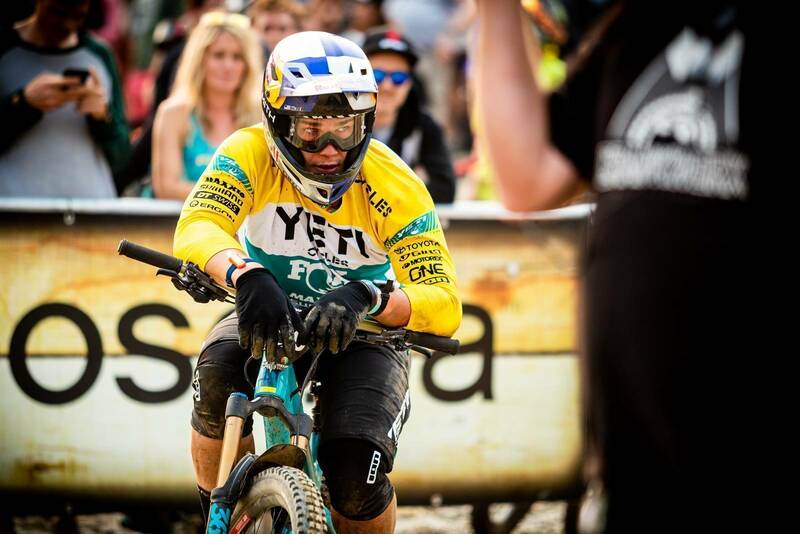 In elite mens, it was a tight race between Richie Rude, Martin Maes, and Sam Hill for the first 4 stages. It was until the fifth stage when Rude flatted, leaving the race to Hill and Maes. 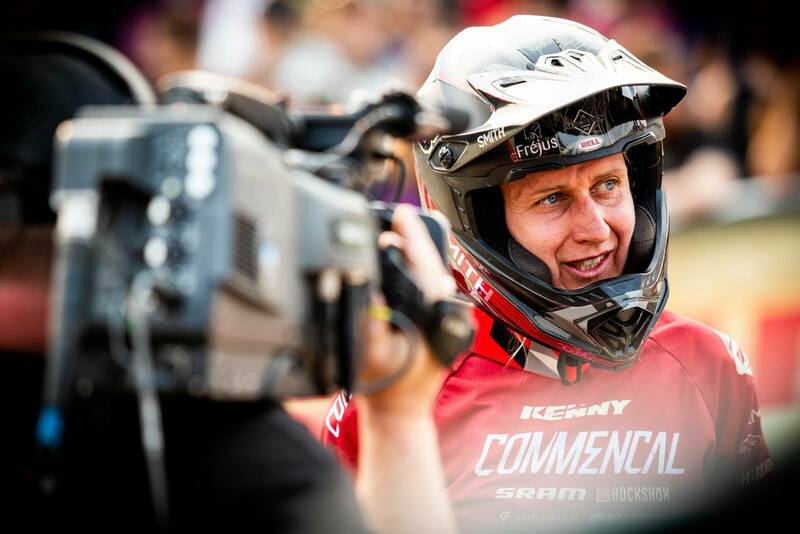 Maes planted a solid time on the final stage, and waited for Hill to show his split times. 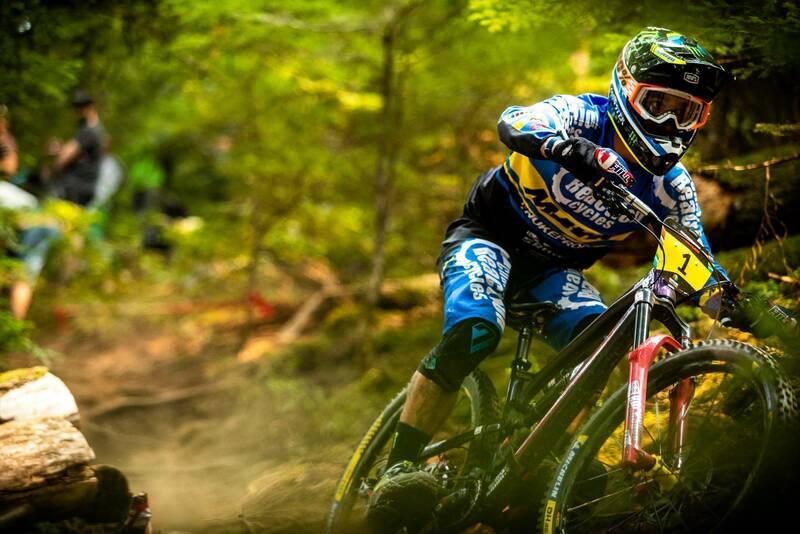 Hill would cross the finish line exhausted to claim second place, with Maes taking his second ever EWS win. Eddie Masters in third, Florian Nicolai fourth and Yoann Barelli in fifth. 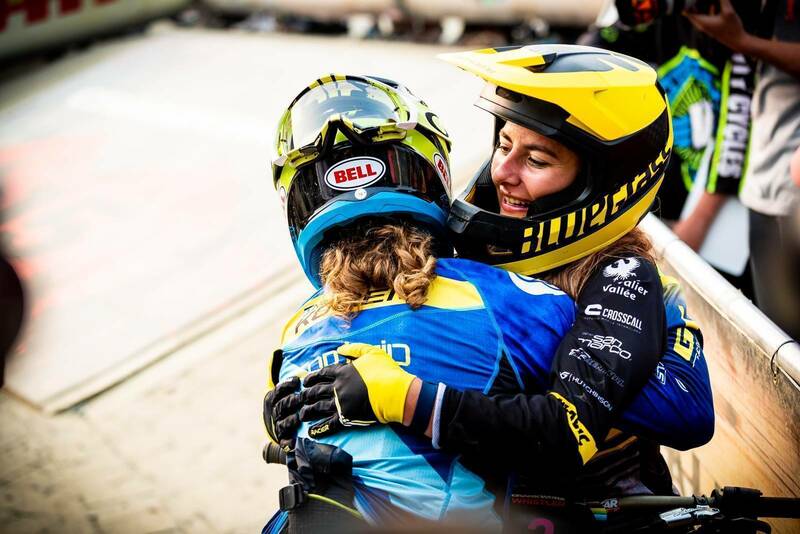 For the women, Cecile Ravanel held pole position across all 5 stages, with Isabeau Courdurier in a close second. 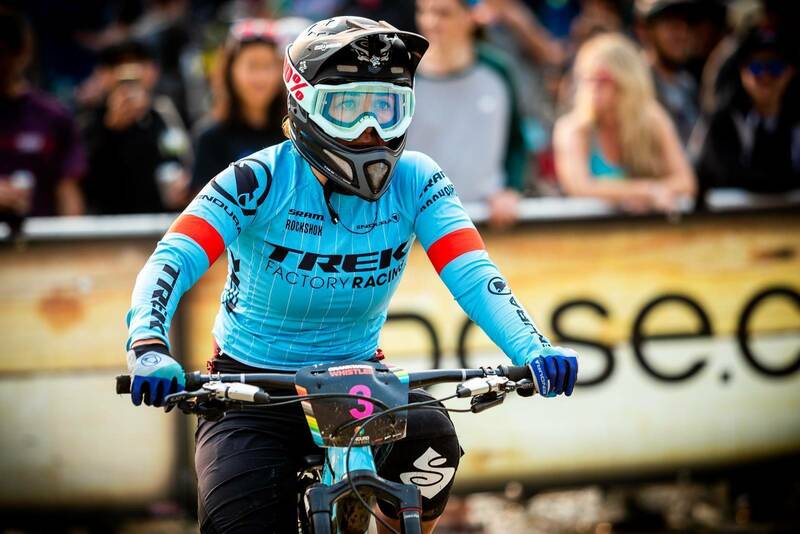 Noga Korem of GT Factory Team in third. 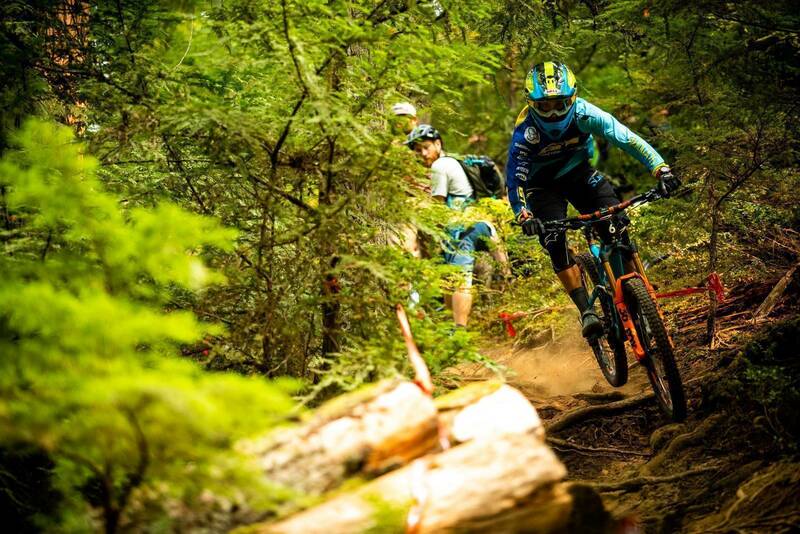 CRANKWORX 2018 Mega Gallery 2!